Niclaus of Haguenau and Matthias Grünewald. The Monuments Men were the unsung heroes of the Second World War who have lately achieved some very belated fame through literature, especially Robert M. Edsel’s Monuments Men (Preface, 2009) and Saving Italy (W.W. Norton & Company, 2013). Even Hollywood has caught on to the great story of the Monuments Men with the rather belated release of George Clooney’s new film. While the books and the movies help to give their audiences a perspective on the work of these men during the war, museums are stepping forward with stories of their personal heroes that staffed their museums until leaving for the war. The Walters Art Museum hosted a talk on Sunday, February 9th, about the life and work of Marvin Chauncey Ross who was their first curator of Medieval Art and Subsequent Decorative Art and a Monuments Man. 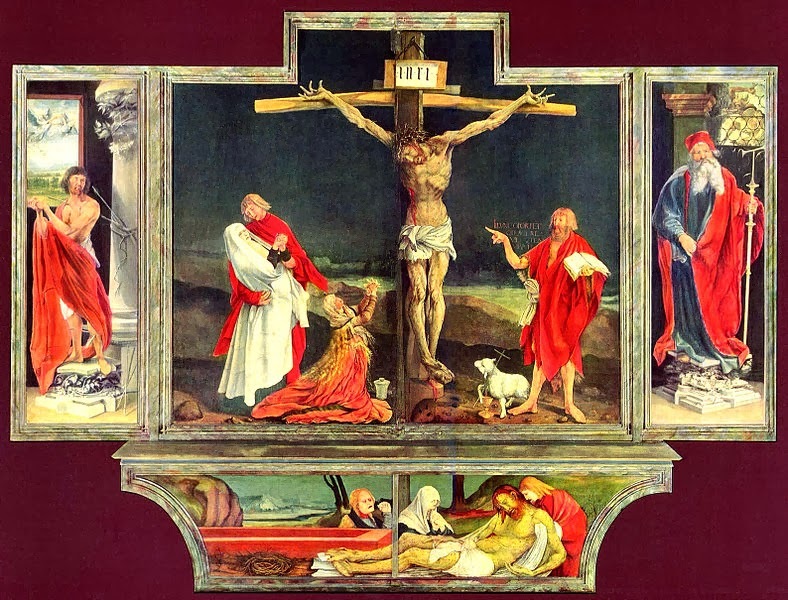 Ross is credited with finding, among many works, Matthias Grünewald’s Isenheim Altarpiece in the Alsatian château of Haute Koeningsbourg. Ross, sadly, was not there to tell his own story as he passed away in 1975, but Michael Kurtz and Melissa Wertheimer were there to do so in his stead. Kurtz, who is the former Assistant Archivist for Records Services at the National Archives, is the author of America and the Return of Nazi Contraband: The Recovery of Europe’s Cultural Treasures (Cambridge University Press, 2009) and discussed the 345 men and women that made up the “Monuments Men.” His talk, titled “Against the Odds: America, the Monuments Men, and Saving European Cultural Heritage,” gave a brief overview of the goals and struggles of the Monuments Men during and after the Second World War. Wertheimer, a Walters’ archivist assistant, shared her knowledge of Ross’ experiences in the “Monuments Men” that she uncovered while going through the Walters archives that hold 15 cubic feet of papers left behind by Ross. Her talk, titled “Archival Treasures of a Monuments Man,” gave an interesting perspective on the lives of the Monuments Men. Knowing Ross’ occupation during the war, Wertheimer hoped to find his work and correspondence in the archives. After a few false starts and a chance discovery in Ross’ “miscellaneous” documents, she found what she was looking for: letters between Ross and George Stout, as well as other Monuments Men. Additionally, Wertheimer discovered fifteen papers that Ross had written about the issues faced in the war by the Monuments Men, including “War Damage in Chartres” which was published in the College Art Journal. Wertheimer is intent upon continuing her research into the life and relationships of Marvin Chauncey Ross. One can only hope that she continues to find as many gems as she has so far!